Between tubes of lipstick, several types of makeup brushes, half-used nail polish bottles and 3 types of aerosol sprays, beauty product organization can be a real pain. If you’ve ever tackled organizing your bathroom drawer to be shocked by how many expired or unused products ended up unseen (covered in hair and lost bobby pins), it’s time to find some organization systems that will keep everything organized, clean, and able to be seen. We’ve rounded up 10 of our favorite hacks and products so your bathroom or vanity can boast both form and function. 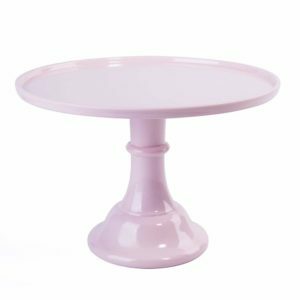 A cake stand is the perfect way to display bottles of perfume and roll-on fragrances; they’ll be easy to access, and look very Parisian-chic sitting on top of a pretty stand like this one here. For easy dusting and cleaning, put a round doily under your products that can be removed if there’s a leak, and to prevent scratching from the bottles. For items that you use daily (things like deodorant, lotion, sunscreen, etc. ), try a revolving spice rack. 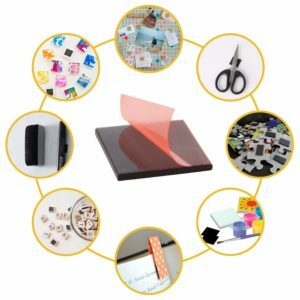 It’s an easy way to keep everything close at hand and easy to access without taking up a ton of space. If your skincare routine differs from morning to evening, you can use the top rack for your morning routine and the bottom for evening. You can find a sturdy one here! 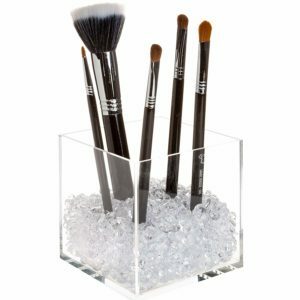 If you already have a makeup brush holder, fill it with coffee beans, pebbles, or marbles to keep brushes standing upright and apart from one another (which will keep them from swapping contamination and bacteria). If you don’t have a current brush holder, an empty glass candle makes a great DIY option; or, you can buy a container that already has beads here. 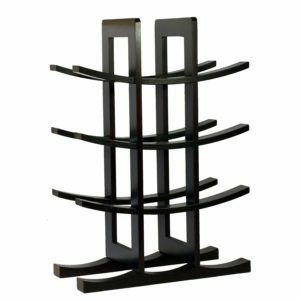 Wine racks like this one here are perfect for storing hair spray, mousse bottles, or other aerosol cans on their side in a compact area. Plus, you can always store a bottle or two of wine in it as well – we won’t tell if you have a glass of chardonnay while you’re getting ready for the day! If you use several smaller compacts instead of a larger palette, try using a metal board with magnets like this one here; just place the magnets on the back of your compacts and other small makeup items, and keep them on the board for easy access. You can also apply paint, stickers, or contact paper to the board to match the rest of your bathroom decor if you’ll be leaving it out. Your bottle of clear nail polish isn’t just for a top coat; you can use it on shaving cream cans and other rust-prevalent shower products to keep that rust ring off and your shower clean from those gross red stains. Just put a coat or two of clear polish (like this one) around the metal rim, and re-apply if you notice some of the rust starting to reappear. 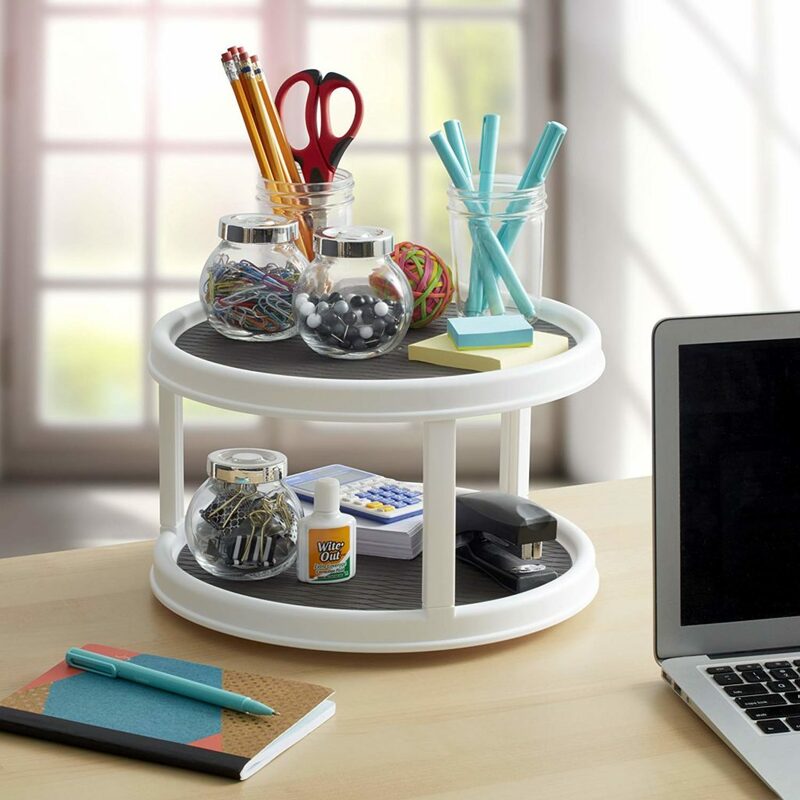 Try a clear cookie jar like this one here to store all of your nail polish. Having a quick at-a-glance at all of your colors will make it far easier to choose, and can keep you from buying too many if you have an addiction – once the jar is full, you have to get rid of an old one before you can buy a new color! 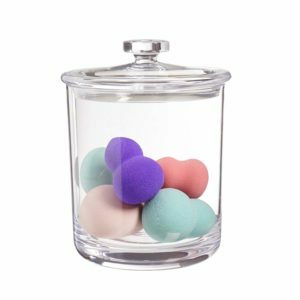 These clear jars are also great for lipstick tubes, makeup sponges, q-tips, and cotton rounds. Bobby pins are the bane of any would-be-organized bathroom drawer’s existence. They’re too tiny to keep track of, and holding them in one small organizer doesn’t keep them from getting tangled up with each other. 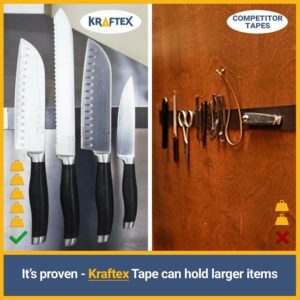 That’s why a long, magnetic strip like this one here, attached to the inside of a cabinet door or other hidden spot, is the perfect place for them. If you don’t have a spot for other small items like nail clippers or tweezers, this is a great spot for those, too. A roller cart is perfect if you’re someone who likes things to be organized by type; use a vinyl cutout or a white chalkboard marker to label each bin; our favorite groupings are Face/Makeup, Hair, and Nails. It’s a compact way to keep each part of your beauty routine separate and organized, and easily holds many of the products mentioned above. You can get the cart in the photo here. 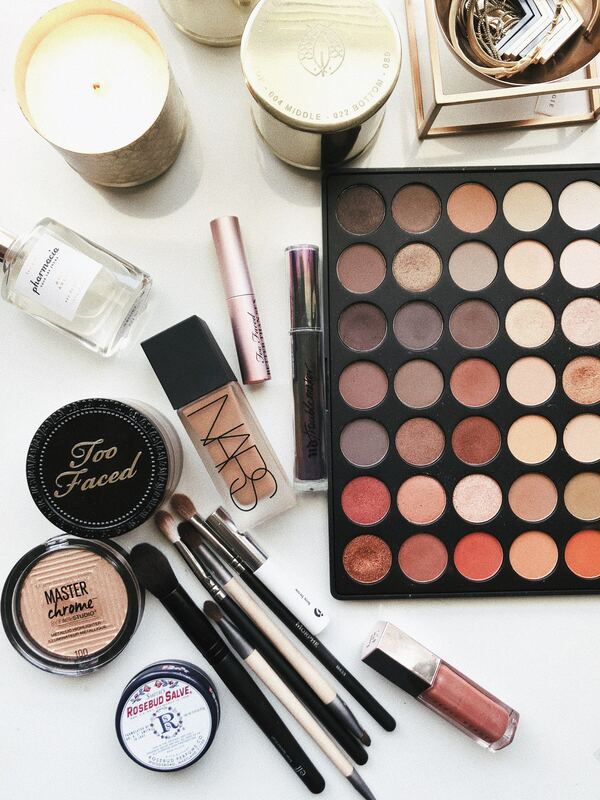 Have you found any brilliant beauty product organization hacks? Share them below!